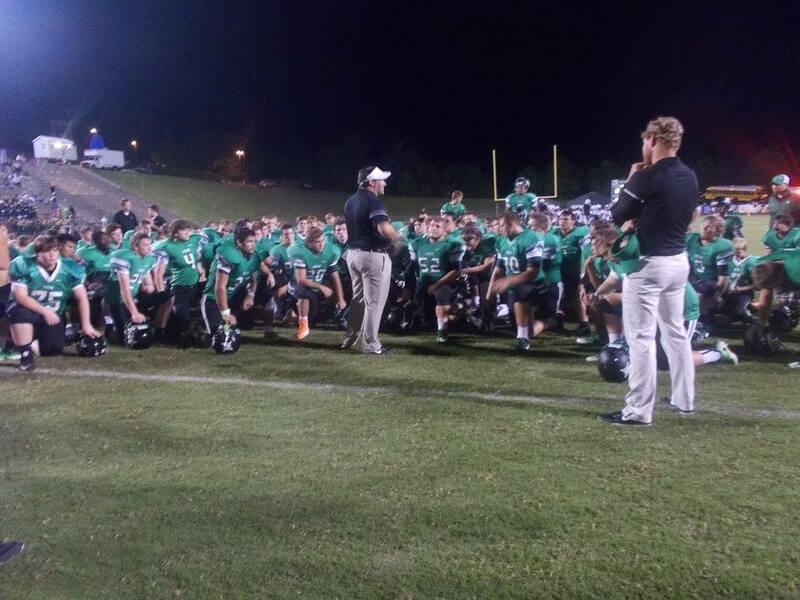 This past Friday, the Pickens Dragons, welcomed the Pepperell Dragons to, you guess it, Dragons Stadium, for a non-region showdown. Pepperell, is out of the 2A classification. This was the 11th meeting all time between these two teams dating back to 1958. Pepperell, had gotten the better of Pickens in the first 10 meetings, going 9-0-1. The tie came in the first game in 1958. 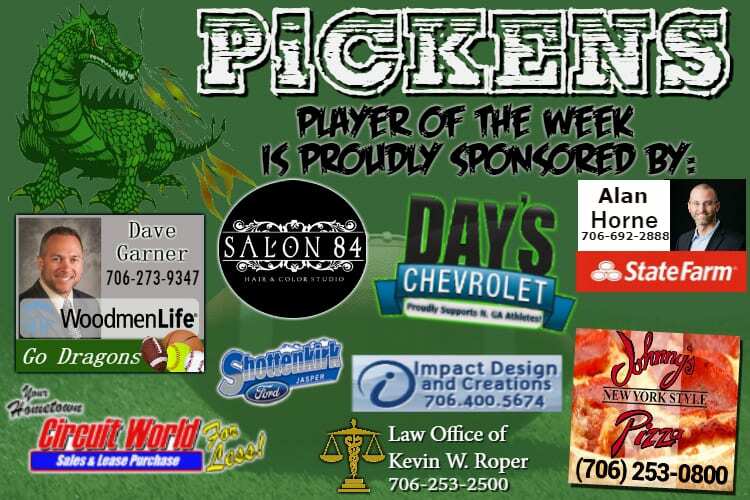 After a big win over Stone Mountain two weeks ago, the Dragons of Pickens looked to continue the early momentum built in this 2018 season. Prior to the game, Michael Burrell & Haley Aiken were named Mr & Miss PHS for the 2018-19 school year. The Pepperell Dragons, won the toss, but elected to differ to the 2nd half. That meant the Dragons from Pickens, would get first crack at points. Pepperell collected the first turnover of the game as they picked off a CJ Streicher pass intended for Zach Goss & took it deep inside Pickens territory. The defense for Pickens stepped up after being backed up near their own goal line, & forced Pepperell into a field goal attempt. The field goal attempt was pushed left, & the Dragons of Pickens, would take back over on offense. Last week’s TeamFYNSports Sports Writer Player Of The Week Brady Moore, provided the first points of the game after a 12-yd TD run at the 6:33 mark, making it 7-0 Pickens. Just as the 2nd quarter got underway, Robert Davis took a hand off and plowed his way in from 4-yds out to make it 14-0 Pickens with 11:55 to go in the first half. Streicher, would then barrel his way into the end zone from 12-yds out. Making it 21-0 Pickens over Pepperell, as we hit halftime. Pepperell, wasted little time to get on the board to start the 3rd quarter. Pepperell used a 13-yd TD pass to score their first points of the game, making it 21-7 Pickens, with 10:48 to go in the 3rd. Pickens answered that score, with a touchdown of their own as Streicher found the end zone for the 2nd time. This score came from 2-yds out, giving Pickens a three score lead, 28-7, with 7:32 left in the 3rd. 3 minutes & 12 seconds later, Streicher again was in the end zone with another 2-yd TD run, giving him three on the evening. Pickens was able to score two points on a conversion after a mishap on the PAT attempt. They led Pepperell 36-7 with 4:20 to go in the 3rd. Pepperell, scored near the end of the 3rd after a 6-yd TD run to make it 36-14 Pickens, going to the 4th. The final score of the night came after a 7-yd TD run for Jarod Whitmore to make what would be your final score, 43-14 Pickens. Pickens, will once again be home next Friday as they welcome a former region opponent. The White County Warriors will come to Jasper for another non-region game. Kickoff is scheduled for 7:30. « Previous Article Justice Denied, Again? This past Friday, the Pickens Dragons varsity football team opened up their 2018 season by welcoming the Pirates of Stone Mountain to the newly upgraded Dragons Stadium. Stone Mountain, is out of region 5 in the 3-A classification. This was the first varsity game on the new turf field for the Dragons that will count on the record books as Pickens hosted Dawson several months ago in a spring scrimmage. Prior to the game, the youth football teams & cheerleaders of Pickens County were recognized as their seasons are just getting underway as well. The Dragons would receive the ball first to begin the game, & wasted little time pulling out the trick plays. On the first play from scrimmage, Qb C.J. Streicher took the snap, rolled to his left, handed it off to Michael Burrell, who looked to be running a reverse. Instead, Burrell, launched the ball to an open Alex Snelgrove, for a 49-yd gain. Pickens, would then march down the field, & Streicher capped off the opening drive with a 1-yd TD run, to put the Dragons up 7-0, at the 10:46 mark of the 1st. After the Dragons’ defense came up with a stop on the Pirates’ drive, Streicher again found the end zone on a 10-yd TD run to give Pickens a 14-0 lead with 4:48 left in the 1st. The Dragons again found pay dirt after a 44-yd TD pass from Streicher to Burrell to put Pickens up 21-0 with 2:47 left in the opening quarter. The defense for the Dragons wanted in on the scoring & that’s when Brady Moore picked off a pass and took it all the way to the end zone to stretch the lead over Stone Mountain 28-0, as we’d head to the 2nd quarter. Both teams went back and forth in the 2nd quarter, until the 5:56 mark when the Dragons defense came up with a safety, to make it 30-0. Moore, this time on offense, found the end zone after a 9-yd TD run, making it 37-0, with 5:04 left in the first half. Moore, wanted more as he again found the end zone, this time after a 16-yd TD run, making it 44-0 Dragons, heading into halftime. With a running clock in the 2nd half, the Dragons would put in their younger players to give them some varsity experience. 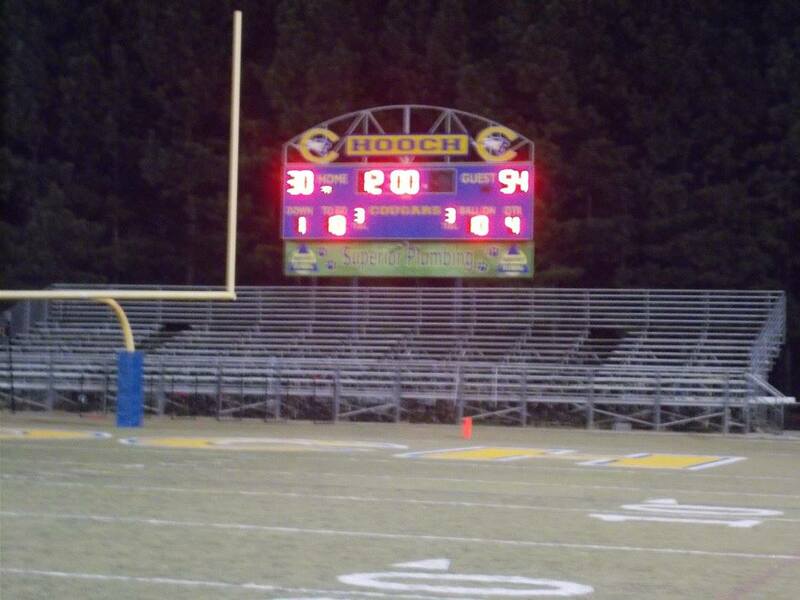 Stone Mountain scored with just over 10 minutes left in the game, & that would be all the scoring in the 2nd half. Your final in this one, Pickens 44 Stone Mountain 6. The Dragons defense held Stone Mountain to just 12 yards rushing on 33 attempts, & just a 136 total yards on 56 plays run. Pickens, will have next week off, but will be back in action at home on the 31st as they host the Dragons of Pepperell. Pepperell has become a familiar opponent over the last couple of seasons and if any of the previous meetings are any indications, this one will be an exciting one to watch as well. Game time is set for 7:30. On Friday evening, the PHS varsity football team traveled to Alpharetta to take on the 6-A Chattahoochee Cougars in the 1st official game of the 2017 season. As you may recall, the Cougars came up to Jasper last year, as Pickens came away with a win their 49-19, their first against an “Atlanta” area school. 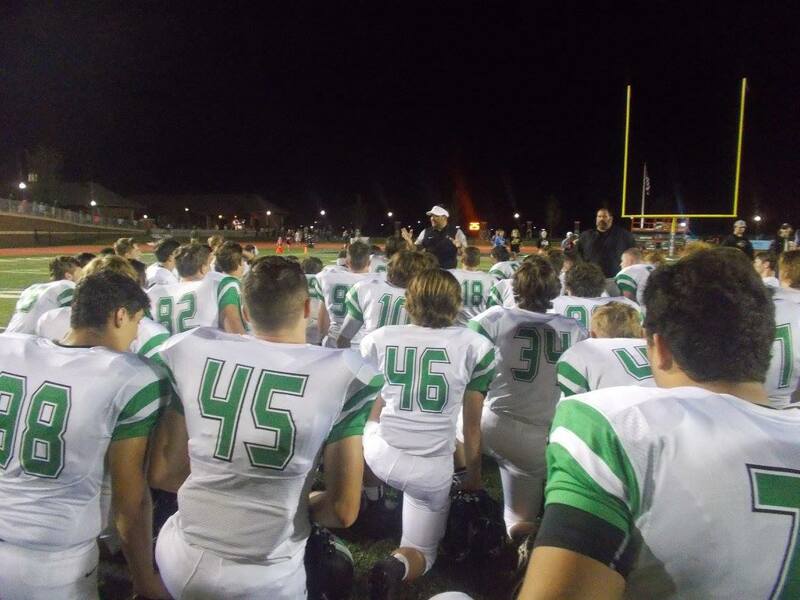 Last night, the Dragons looked to do it again. Chattahoochee would win the toss and elect to receive the opening kickoff of the 2017 season. The Dragons were able to make the defensive stop to set up good field position for the offense’s first possession. On the 1st play of the 1st drive of 2017, Pickens pulled out the ole double pass play as Senior QB Jacob Brumby tossed it to Sophomore C.J. Streicher, who then launched it to Junior Trevon Hawkins for a 51-yard gain. Streicher put an end to the drive as he scored from 3-yds out to give the Dragons a 7-0 lead with 9:22 left in the opening quarter. After both teams played hot potato with the football, Pickens added to their lead after an 11-yd TD connection from Brumby to Junior Zach Goss, making it 14-0 with 1:31 left in the opening frame. :28 seconds later, the Cougars found the end zone for the first time on the night scoring on a 36-yd TD run. The ensuing 2-point conversion failed, & Pickens held a 14-6 lead, going to the 2nd. Chattahoochee again would cut into the Dragons lead with a 22-yd run at the 10:42 mark of the 2nd quarter making it a 14-13 game. The Cougars used momentum gained to surge into the lead after a 27-yd field goal, giving them a 16-14 advantage with 4:26 left in the opening half. Seeing his team needed to take some of the momentum back, Junior RB Robert Davis electrified the away crowd with an incredible 82-yd scamper to the house, giving the Dragons the lead right back, 20-16 with 4:02 left in the 1st half. Pickens would then tack on another touchdown right before half as Brumby tossed his 2nd of the half, this time, to Sophomore Alex Snelgrove from 3-yds out, making it 27-16 Pickens at halftime. The Dragons got the 2nd half kickoff and wasted little time adding to their two score lead as Davis took this one 94-yds to open the 3rd quarter, & giving Pickens a 34-16 lead over the Cougars. Pickens tacked on more at the 10:35 mark of the 3rd when Hawkins had his own 82-yd TD run, making it 41-16 Dragons. At the 7:05 mark in the 3rd, the 3rd time would be the charm for Davis as he took it in from 5-yds out, making it 47-16 Pickens. Chattahoochee got on the board for the first time in the 2nd half at the 3:44 mark of the 3rd with a 3-yd run to make it 47-24 Dragons. The Cougars cut into the Pickens lead a little more with a 49-yd TD pass, making it 47-30 Dragons going to the 4th & final quarter. The lone score in the 4th quarter came from Hawkins as he marched in from 7-yds out at the 10:00 mark. Making it 54-30 Pickens. That would be the final score as the Dragons picked up a big road win to begin the season, 54-30 over the 6-A Chattahoochee Cougars. 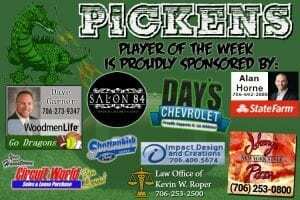 Pickens will have a bye week next week as they prepare for yet another tough road match up on September 1st as they take on 2-A top ten ranked Pepperell Dragons. 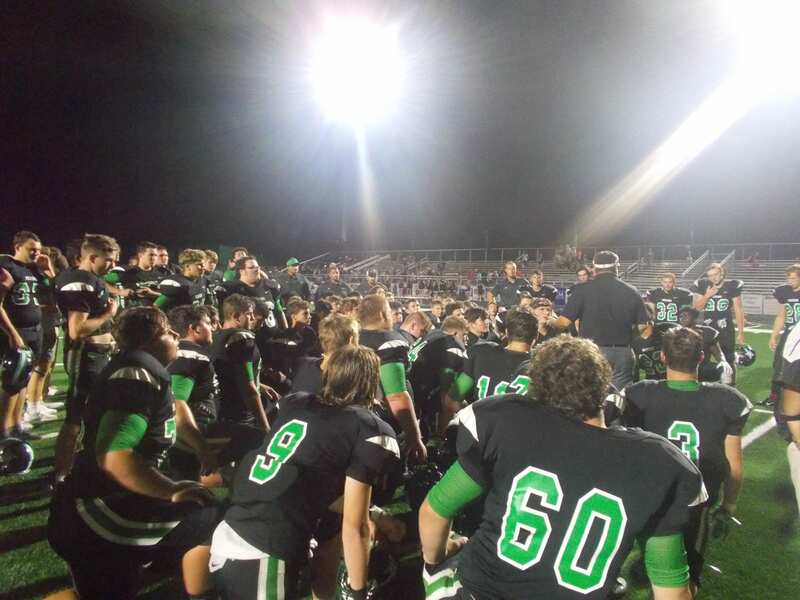 Last Friday, the Pickens Dragons varsity football team took to the road yet again. This time, to take on the 2-A Pepperell Dragons in the “Battle of the Dragons.” This game, was originally scheduled to take place at Pepperell High School, but due to field conditions, the game was moved to Berry College. These two teams met last year in Pickens, with Pepperell coming away the 18-10 victors. The Dragons in green got things started and wasted little time driving down the field. Pickens ended their opening possession of the game with a 27-yd touchdown strike from Jacob Brumby to Zach Goss, giving the Dragons an early 7-0 lead with 10:03 left in the opening quarter. Pepperell took the lead at the 6:31 mark of the 1st quarter after a 4-yd run & successful two-point conversion giving them an 8-7 advantage. Pickens, took back the lead at the 1:45 mark as Brumby tucked it an ran it for an 11-yd score, giving the Dragons a 13-8 lead going to the 2nd quarter. Early on in the 2nd quarter, Pepperell regained the lead in this back and forth affair with a 5-yd run at the 11:17 mark to put them up 15-13. Soon after, Robert Davis would scamper to the end zone from 46-yds away at the 9:45 mark to reclaim the lead for the Dragons. The 2-point try would be converted, and Pickens held a 21-15 lead. The final score of the 1st half came at the 5:04 mark as Pepperell connected on a 44-yd field goal. Pickens lead Pepperell going into the break, 21-18. In the 3rd quarter, Pepperell got the scoring started with another 5-yd TD run to retake the lead 25-21, with 8:27 left in the quarter. Both teams went back and for the rest of the quarter as Pepperell took a 25-21 lead into the 4th and final quarter. At the 11:47 mark of the 4th, Pepperell added to their lead with a 4-yd run to make it 32-21 over Pickens. The Dragons however, wouldn’t go down quietly as the tandem of Brumby & Goss hooked up again at the 8:35 mark, this time, from 19-yds away. That cut the Pepperell lead down to 32-28. The Dragons had a couple of opportunities to take the lead before Pepperell scored at the 3:14 mark with a 7-yd run to make it 39-28. That would be your final as Pepperell took this one, 39-28. 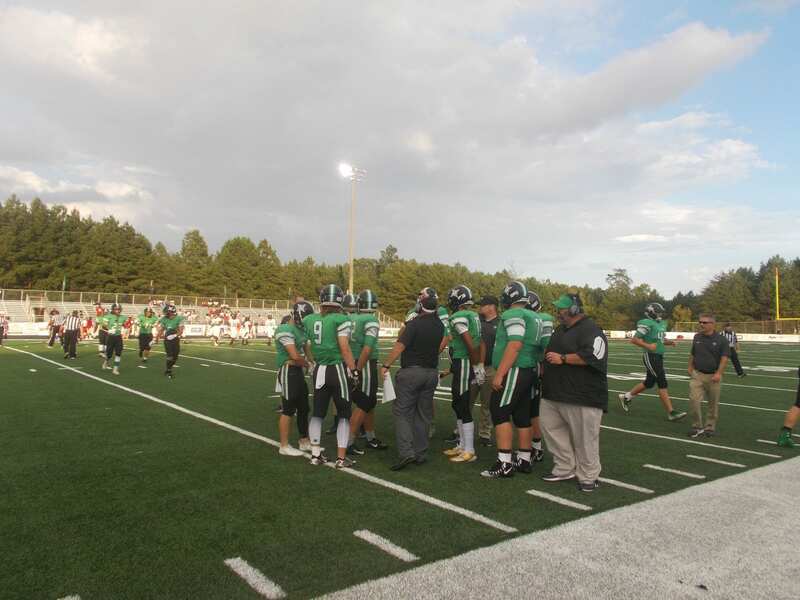 Pickens will finally be at home this Friday as they host the 3-A North Hall Trojans for the home opener. The Dragons will have home games for the next several weeks, with another bye week sprinkled in between before taking to the road again on October 6th.